This is Saurabh Kumar from Samastipur, Bihar. I am here to share some do’s + don’ts in the journey of UPSC exams preparation, followed by my own journey. 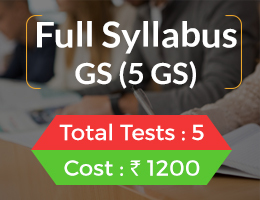 This write-up is targeted to aspirants who are already into the preparation and some strategic inputs may help their scores to improve. The whole write up in divided into sections & sub-sections so that you invest time only in the things, needed to you. Below is my mark sheet. It is better to know that you are failing each day rather than knowing just after UPSC roll no pdf tells you this. For this, I used to try sending a daily status to my mentor Ashish like below . Though I could actually do this exercise for very few days, it can be a good strategy, if done consistently. Above monitoring should not put excessive pressure on you, as pressure will reduce your performance. This is just to guide your preparations. To reduce such pressure, sometimes I wrote this to my whiteboard ”I have done well today, I will do better tomorrow”. Always keep a bird eye view to your preparation. You should know where I am now, where I will be 1 month later/before exam etc. Planning part includes syllabus completion, revision, available days etc. While planning, keep some margin for un forecasted things like falling ill.
You have to plan your content for revisions, e.g. how are you going to revise the same thing when you have 10 weeks/ 10 days/ 10 hours. You need to have a plan for each of the situation. For this I used to put different colour highlighters in different timings e.g. 10 months before exam (yellow/pink), 10 weeks before exam (green), 10 days before exam (blue). This helped me keeping the whole book/notes in layers and revise the things as per time availability. If I am given 10 days, I will revise all highlighted things, if 10 hours only green ones and if 10 minutes, only blue ones. Other main strategy includes gap area identification and correcting them. This exam generally is a long journey and staying motivated throughout is the key to success. I applied graded response action plan (GRAP). I would see my energy level and will apply remedy according to that level. Devise your own GRAP. Go out, you may find people struggling with life, may be someone doing hardship for her basic livelihood. You have privileges, get into a position to do good for society. Once in a week, the daily progress could be analysed and necessary change in plan of action can be taken. Similarly, evaluation through feedbacks in test papers is to be taken. It helps to improve continuously. Any competitive exam is just a relative exam. 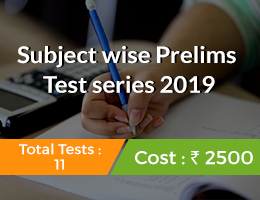 Theoretically, a candidate can even top in this exam without attempting any question, if all other candidates attempted one and marked that one wrong. Hence, in the examination, I would always say to myself that it is a RELATIVE EXAM and each moment with calm cool mind is taking me ahead of some other aspirant, who is not cool and calm. In the preparations, this relativity has to be seen comparing with ourselves. Every day has to see a better me. These daily improvements will make success easier. In all parts of this exam, 100% completion of all concepts, question types is close to impossible. Hence, giving an honest effort in the preparation and staying cool & calm is the key to success. For this, I used the thesis – do your part and say formula of Rancho (3 idiots) that all is well. Compare things/bucket the things in preparation stage itself so that the difference is clear in preparation only rather than the confusion in exam hall. Generally we have some pattern of mistakes in the exams, maintain a log, and repeatedly tell yourself that whatever be the case, I am not going to make that mistake again. This works magically. Life goes on, whether someone’s name is in the rank list or not. Trying honestly is more important than getting or not getting. 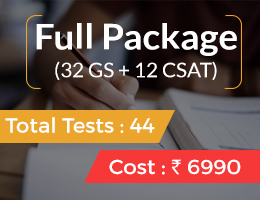 If your ultimate aim is All India Service, try writing ONLY Civil services/Forest exam in the first two attempts, until and unless there are some personal/financial issues. State PCS may be given, but only for practice since, many exams in a year create piecemeal strategy rather than long-term vision. My favourite quote which I had put just besides my bed. Every year people are clearing the exam, so rather than finding fault in system, we should try finding our own gaps. 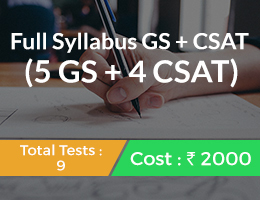 In case you are repeatedly failing in any stage of exam, completely analyse ALL steps of last attempt. Make a table with 2 columns, write what you did and what extra/changes you are going to do in this attempt. This is a customised plan best suited to you rather than any generic plan for masses, because nobody can know your strength/weakness better than you. Refer this paragraph only if you are appearing for prelims this year and could not read newspapers till now. 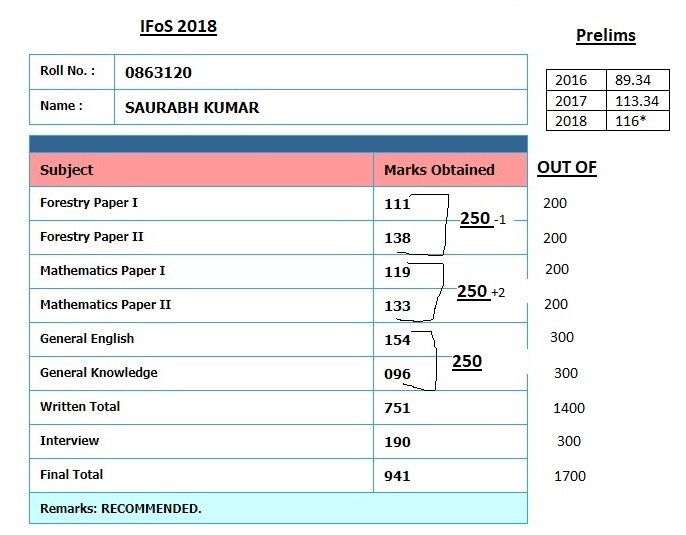 It is manageable for prelims stage, as I could not read newspaper in any of my attempts (may be my poor GK marks give some hint). But, I will not recommend to ignore newspapers in general, as almost all successful candidates read it and newspapers make points organic. In my initial attempt, I made hardcopy notes in notebook and in later one’s I realised making notes in loose A4 sheets has many more advantages e.g. clubbing them with other standard class notes/market notes/print outs and others. Loose A4 sheets must be consolidated (may be spiral binding) at least 1-2 months before the exam so that quality revisions are faster. Till now, we have discussed general tips for all stages. As prelims is round the corner, let us discuss a few pointers from my side for prelims. Single source for each section should be completed before doing multiple sources for the same section. Do as much as you will be able to revise before prelims. Generally , we do not fail because of not reading something, we fail because we were not able to answer something from what we already read [doing best in ALL questions is not mandatory in any stage of examination, even interview]. For this, I devised concentric circle approach. 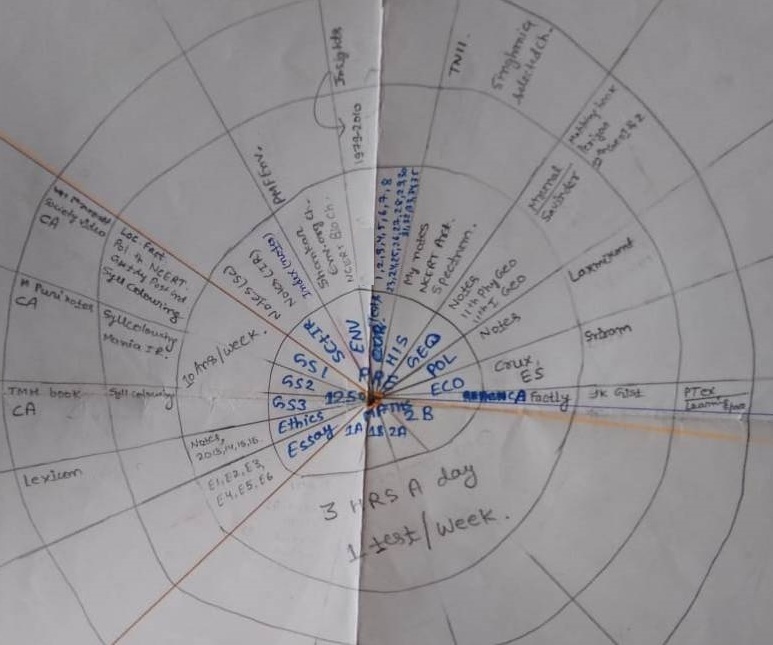 Put all your basic sources and activities in the first circle and others in second and later, depending on your priorities. Newcomers may get your circles verified by your teacher/ successful candidates. Decide that you will finish 1st circle by xyz date and will move to 2nd or more only after ALL parts in 1st one are done. It will help you staying focussed, prioritize things and an overall bird eye view to your preparation. Knowledge + logic is the key to clear forest service prelims cut-off. No need to fear from unread topics/unseen statements, many a times answer lies in the same statement itself. 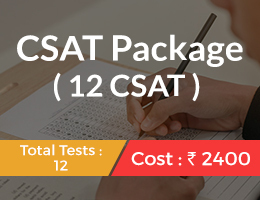 5 tests at test centre spanned over 1-2 months is a strong recommendation from my side. Note your mistakes (especially the questions in which you made a mistake in spite of knowing the concept). Correct them progressively. 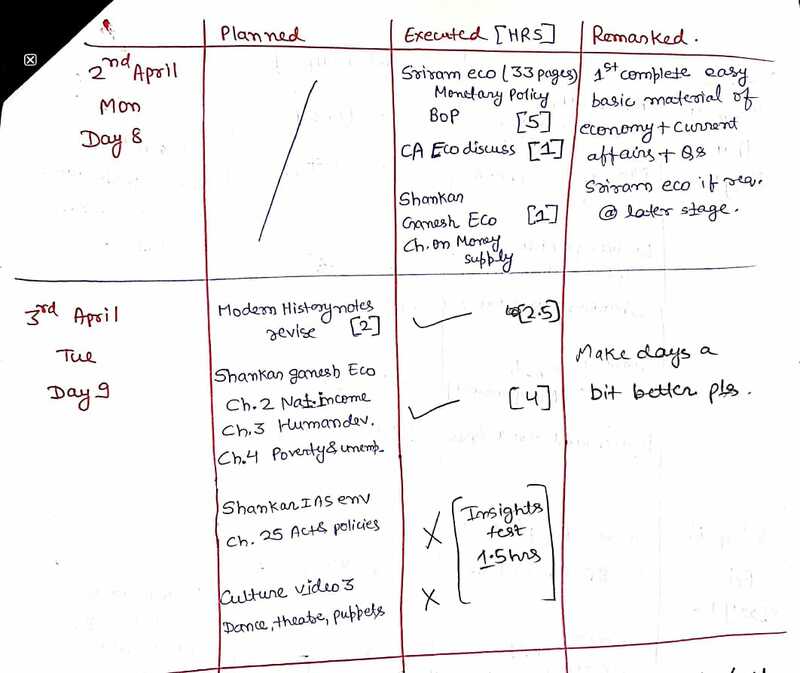 Also, make a plan for 2 hours, how you are going to proceed in exam/mark in Q paper/OMR etc. Execute them, refine them in test series and follow them on prelims day. 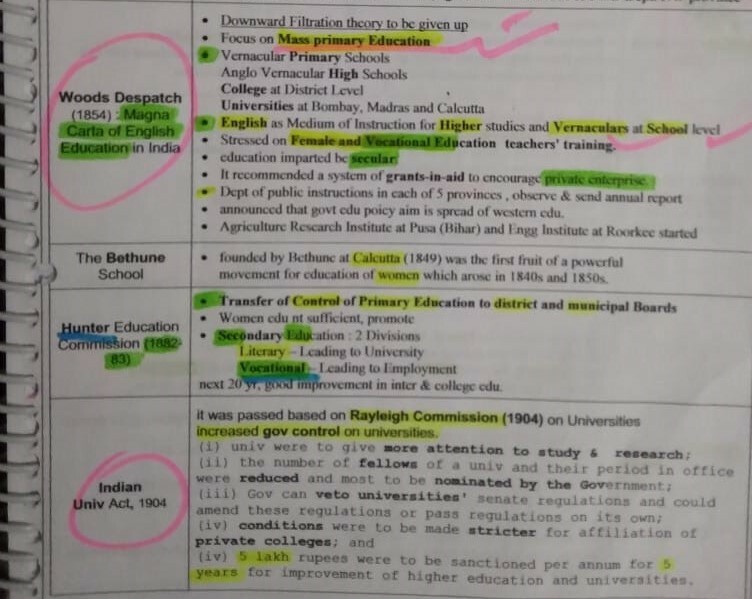 UPSC prelims papers 2011-18 should be solved, IF POSSIBLE. Check your plan and cost benefit analysis before going to the same. Pros – questions repeating (e.g Budha kingdom 2014 & 2015, leaf modifications desert area 2013 & 2018) , type of options repeating (Paris q in 2016- 100 billion to 1000 billion, NIIF Q in 2017- 40k to 4 lakh, the moment I saw 4 lakh, I said ohh UPSC, you will not change), identification of key areas for prelims (e.g. Jainism- Buddhism, Mapping, indices etc). These repeated themes are to identified and have to done well from any one source. Use blank India/World maps for memorizing things. Write dances, important places in map so that you are able to create a pictographic memory for the same. I did it for military exercises, Wildlife sanctuaries in news etc. Give adequate importance to English. If you get a good friend (Luckily, I got Ashif) who can critically analyse your grammar part specifically in each sentence, nothing like it. Not having common optionals in Civils & Forest service may be a little painful, but yes it is rewarding if you conquer. E.g. out of 46 people clearing general cut off IFoS 2018, 21 had geology optional, whereas only 6 had maths optional. In above mentioned 46 candidates, average score of for Geology was 252 and for mathematics it was 254, and highest for geology was 314 and for maths only 269. This goes against normal notion in market that Forest service is only for people with common optional subject in civil exam. As per my understanding, the key thing in interview is not yielding at any moment. Whatever be the stress given in interview, keep up your cool and calm. Be honest, nothing can be worse than being caught lying. I did my schooling till 10th in Hindi medium, where English marks were not counted in merit. After that I did B Tech in Naval architecture and Ship Building from Cochin University, Kerala in 2010. Later, I worked 3 years in GRSE Kolkata making warships followed by 3 years in Lamprell Energy, Sharjah, UAE building oil rigs. I left job in 2016 after 6 years of job to prepare full time for Civils and Forest service exam. 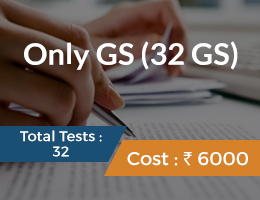 · Schooling medium is not a barrier for UPSC exams (Forest service exam is conducted only in English and has 300 marks paper for English Language, I got 154/300). · It is never too late to try for the things you want in your life. Calculate the risks in life and take decisions. I was not very keen for government jobs during my college. But, vicinity to home landed me to a PSU job in GRSE, Kolkata. In the initial years itself, I realised myself being a bit more sincere in professional life than average people. 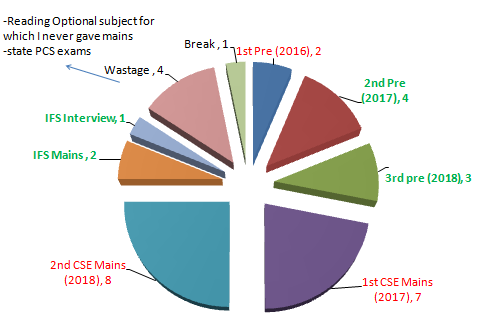 Like many engineers in their first job, I started writing CAT (IIMs entrance) exams, updating my CV for jobs, one attempt in civils (with just 5 days of study, yes I am serious only 5 days, just to see exam, because I knew that I am not going to give more than 2-3 attempts for sure, It was a blunder on my part and I strongly advice not to take this step, as each attempt is precious). In 2013, I changed job to MNC in UAE. Professional life was nice. But, during my interactions with several public servants/system, I could easily sense the effect of their decisions on common men’s life. A sensible civil servant can really make a difference in the life of many. Hence, I decided to try getting into the system and do my share of positive changes. I completed my predetermined targets and left job on 30 May, 2016 to prepare full time for services. It was a bit difficult to leave job to prepare full time especially when I was already 28 years old and only 3 attempts were left as I had already wasted other 3 in experimentations. But, yes sometimes we have to take risks in life, not always to succeed, but yes not to repent at the end of the life saying ‘Had I tried’. It took me 982 days (2.7 years) since I left the job to get my name in UPSC rank list, recommending me for an All India Service (IFoS) and I look forward to serve common public with all my energy and positivity. But, keep the fact in mind that grass always looks greener on the other side, I miserably failed in 2 civil services mains (Maths optional) and this IFoS exam was my last chance to get into the service. Hence, don’t leave job and jump to prepare just because someone else did so, but yes know your priorities/strengths/weaknesses, calculate risks and then take a call. Number besides the activity indicates approx months taken for that activity. Last but not the least, I would like to thank Insights team for revolutionising the whole UPSC exams preparation. I joined Insights prelims test series both in 2017 and 2018. In 2018 prelims, Insights tests were a confidence booster for me as I scored good rank in tests (sometimes around 50s). 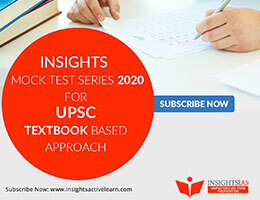 Insights has helped the UPSC exam preparations to move from offline to online (now a person can prepare in any place in India even abroad) and improvements to move from Weekly/monthly basis to daily basis. I wish all the best to all aspirants and Insights team for future endeavours. 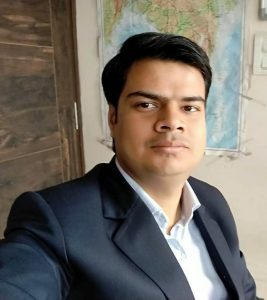 Let me know your queries/need of elaborations on any of above mentioned pointers, in comments section or on ifssaurabhkumar@gmail.com, I would be happy to help.